As you know, Ashley (A1) was diagnosed with diabetes when she was really young. While diabetics can have sugar and chocolate, I try not to over-load her Easter basket with those items so that she can more easily enjoy the holiday. I generally limit the sugary treats to a couple of her favorite brands and then finish the basket out with both food and non-food items. 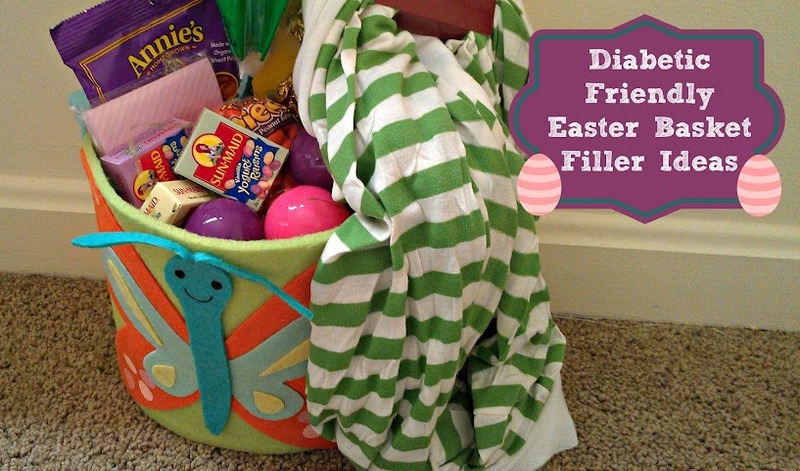 What ideas for a diabetic friendly Easter basket do you have? Great ideas! Stumbled and pinned.